Did Mario Draghi just block Germany's "merger of weakquals?" 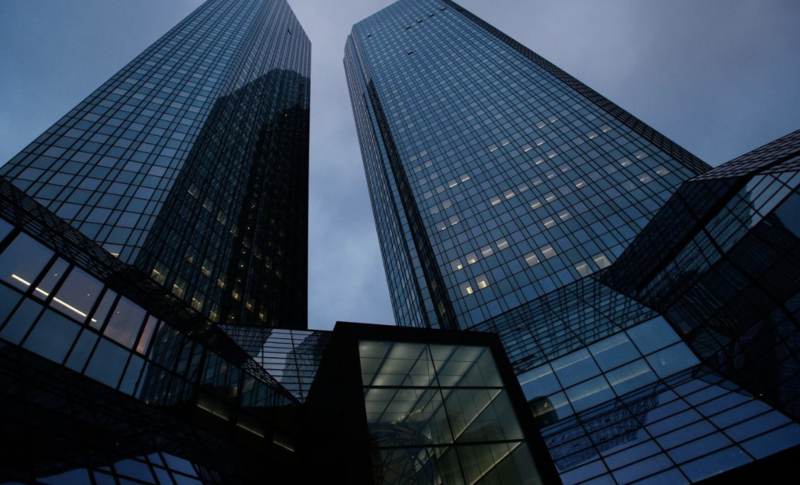 According to Reuters, the central bank is planning to ask Deutsche Bank to raise fresh capital before it would allow a merger with Commerzbank, something that both the German finance ministry and American private equity firm Cerberus Capital have long been pushing. Reuters cited anonymous sources, and a DB spokesman denied the story, but Reuters' reputation for being a conduit for authorized ECB leaks gives us reason to believe. Last month, Deutsche CEO Christian Sewing dropped his initial resistance to the merger and assented to talks with Commerzbank, despite having once insisted that a merger between the two banks wouldn't happen before the end of the year. That was followed by reports that Deutsche was considering returning to the equity well for the fifth time since the financial crisis to try and raise up to €10 billion ($11.2 billion) - equivalent to roughly two-thirds of its current market cap - to create a capital buffer for the merger. German Finance Minister Olaf Scholz has been pushing for the merger for months, hoping to create a German 'national champion' to support the country's export-focused economy. But critics have questioned this rationale for the merger, pointing out that - as BBG put - "two turkeys does not an eagle make." Both banks have struggled with shrinking revenue, while barely ekeing out profits. Because of these risks, many of the shareholders and stakeholders in the two banks have expressed trepidation about the merger. According to BBG, these include two Qatari sovereign wealth funds, asset-management behemoth BlackRock and the powerful labour unions who fear the "synergies" sought by both banks could destroy 30,000 jobs. There are also concerns that integrating the two banks' operations could involve unforeseen obstacles. 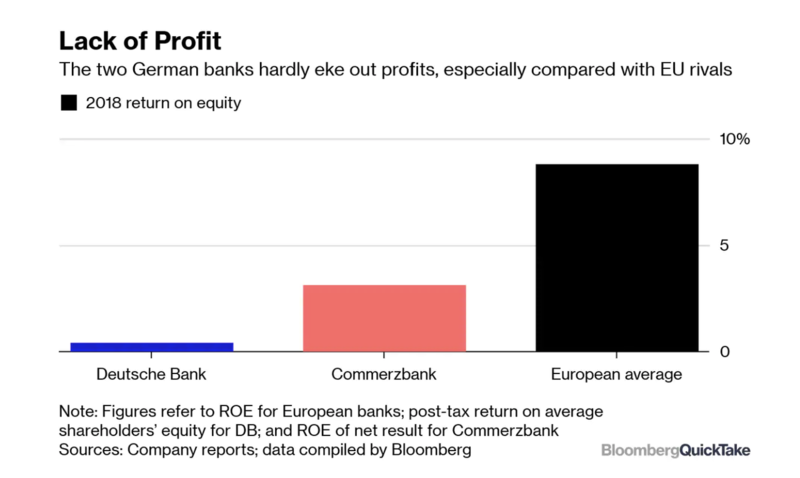 Other European banks have been circling Commersbank, including UniCredit, the troubled Italian banking giant, though analysts believe a merger with a non-German firm would face serious obstacles. 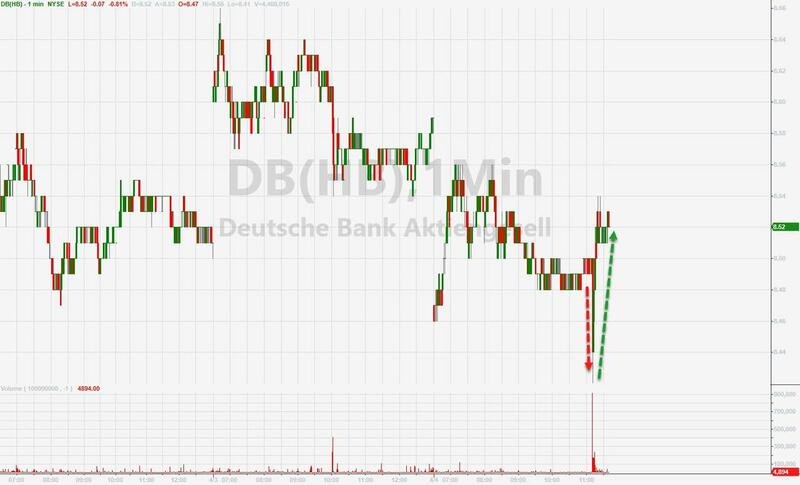 These same shareholders were probably less than pleased to see DB's long-suffering shares tumble on the ECB headline. Which begs the question: Who will buy all of this equity? Cerberus? Because for a bank whose shares have shed half of their value over the past year, another capital raise is easier said than done.